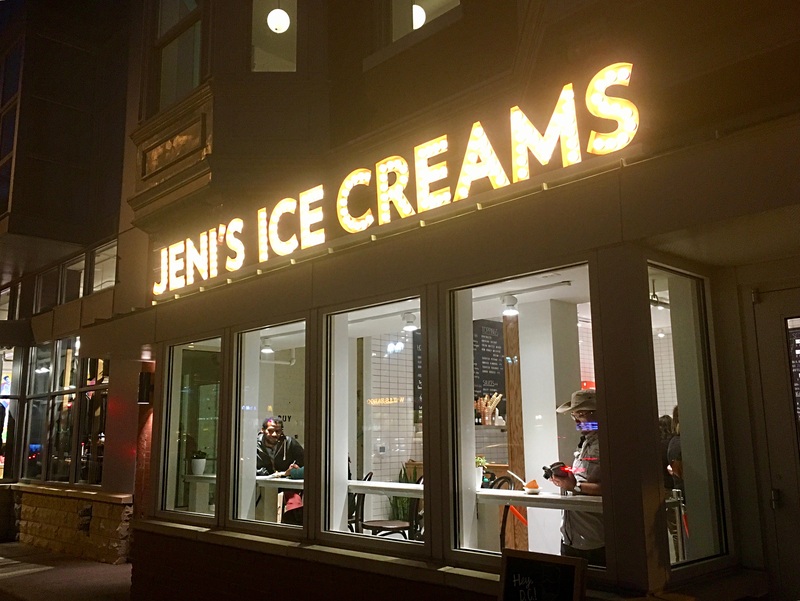 Posted by mrsjoujou in Eating and Drinking by city, Jeni's Splendid Ice Creams, Washington D.C. 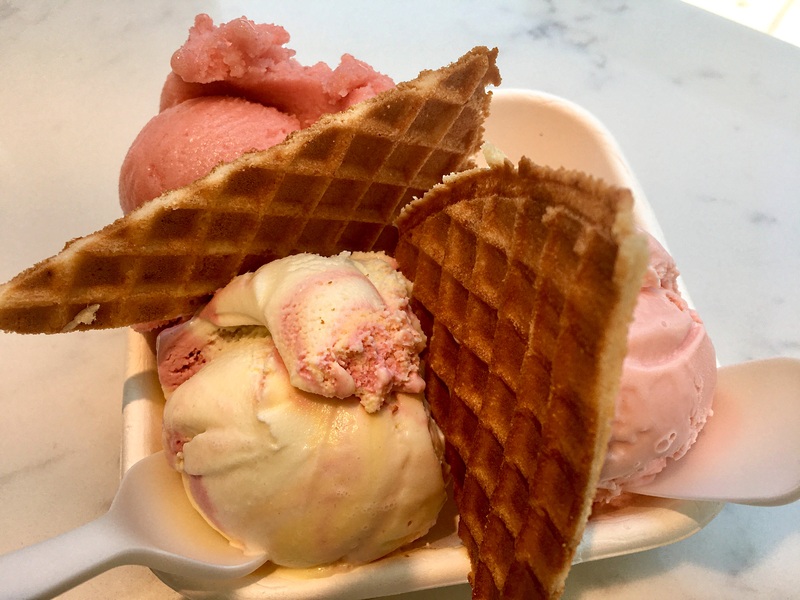 The rainbow and the watermelon are the two favorites I usually get because I love their sweet and tart flavors. Peach buttermilk was not that peachy. frosé a combination of rosé, berries and lemon was very refreshing. The other two satisfied as usual. Frosé was very fruity with rose, strawberry and pear flavors. Dark chocolate always satisfies. Rainbow BFY was delicious with lime, passion fruit and raspberry flavors. 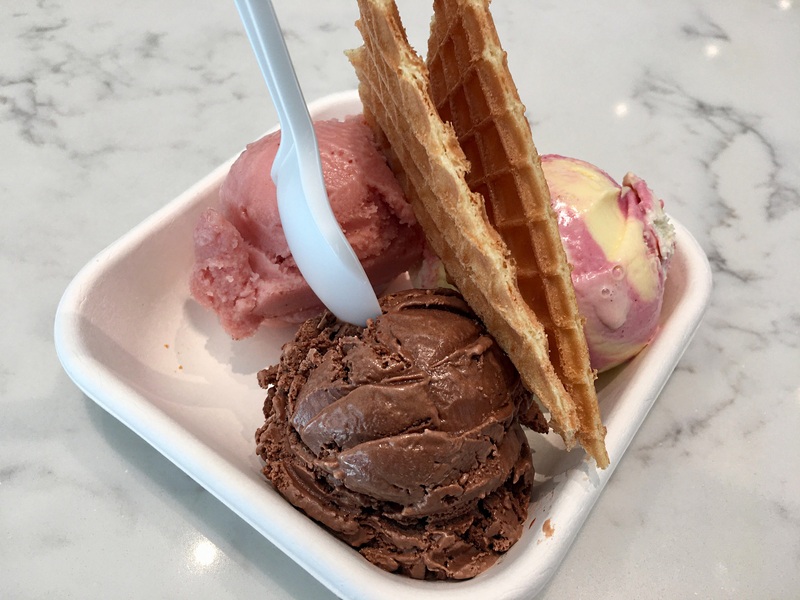 Posted by mrsjoujou in Jeni's Splendid Ice Creams, Washington D.C. Dark chocolate truffle is a non dairy chocolate goodness. Coconut & cacao is another favorite. It is like a grown up, gourmet almond joy!! Rainbow BFY is a combination of passion fruit, raspberry and key lime frozen yogurt and was so refreshing. My husband picked the espresso and enjoyed it. It was like a cold yummy espresso. Coconut & Cacao was the flavor of the month. 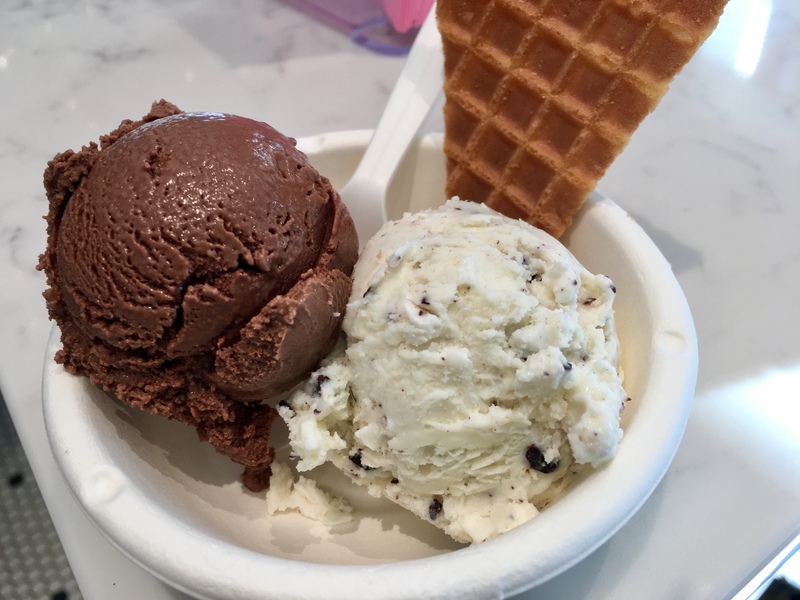 Coconut ice cream with coconut flakes and dark chocolate chips was like eating a delicious chocolate coconut macaroon. I wish I could buy a pint of it. Chocolate truffle was so chocolatey and delicious. The sweet potato is always comforting. The new chocolate truffle was really good and chocolaty. 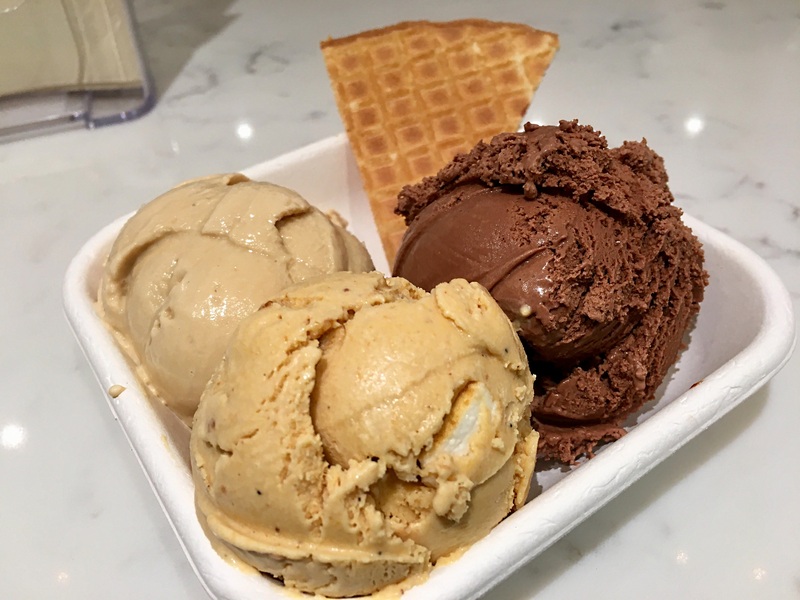 My husband picked the salty caramel. I found it too sweet and I don’t think he will order it again. 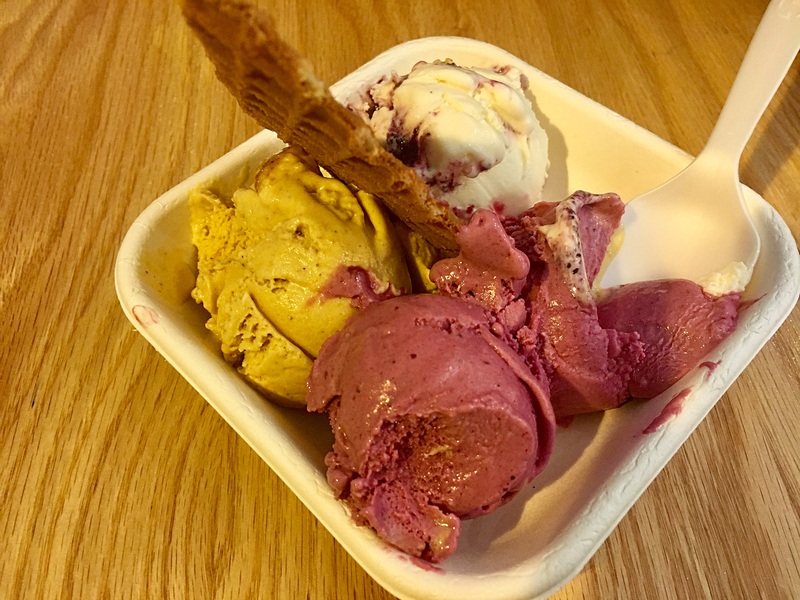 Had to go back for the comforting sweet potato and the tangy black raspberry. 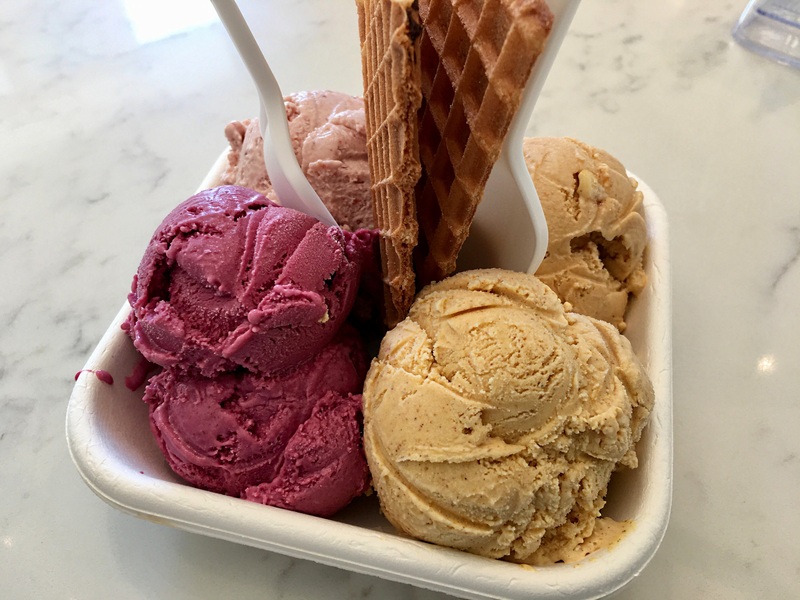 Pumpkin 5-spice was like the best pumpkin pie flavor and my husband’s pick of strawberries buttermilk was bright and refreshing. 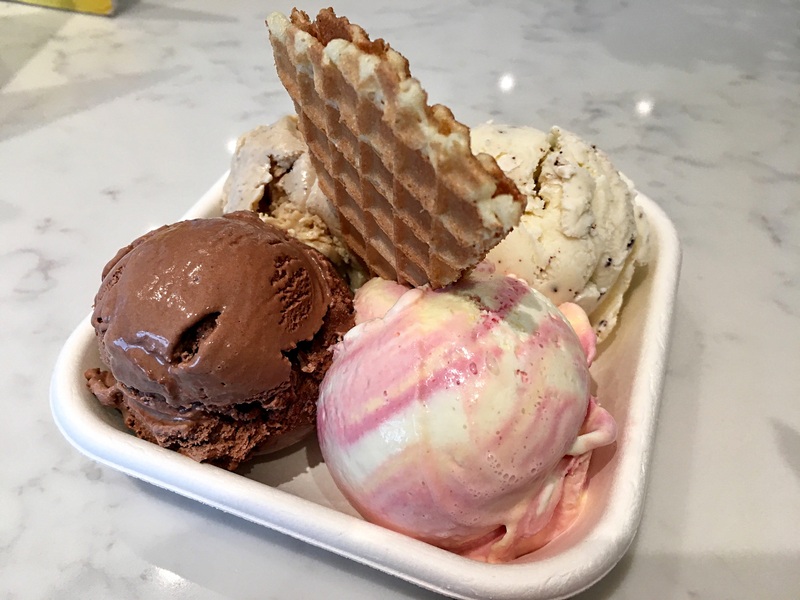 Jeni’s Splendid Ice Creams has been one of my favorite places ever since I tried their goodies three years ago in Atlanta. They had two locations in the LA area and when we moved to VA, I had to order their pints online. When I read that they were opening a shop in D.C., I screamed with joy and spread the news. I was even happier when two days later they were opened for business. I am surprise there was not much news before they opened up. We went a couple of days later. Finding a parking was a total nightmare. It took us forty minutes to find one. Roasted sweet potatoes with cinnamon and nutmeg was my kind of ice cream. The marshmallows were good also. The lemon blueberries is an old-time favorite. Sweet and tart. The black raspberry was pretty good also. 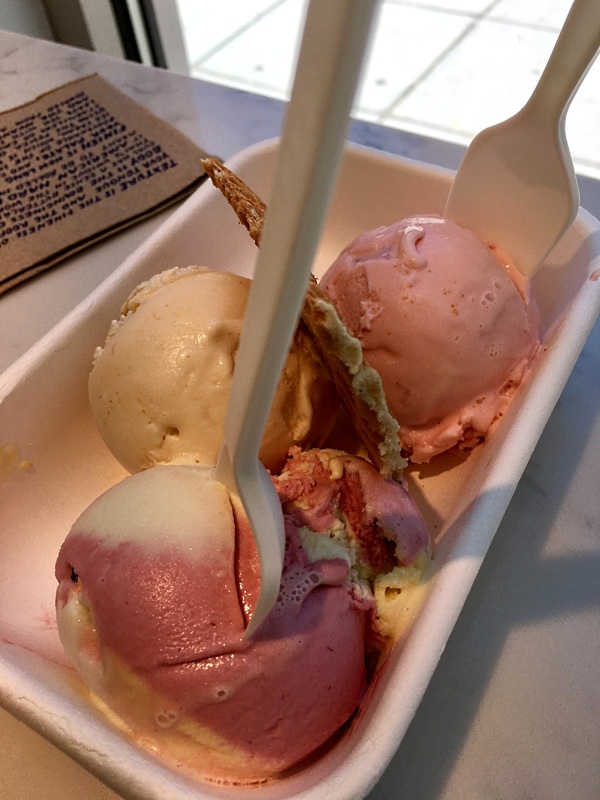 Since they were new on the job, the raspberry scoop was half the size of their other locations. I complained and they gave me a second scoop! !